Cont’d from Sampling Turkish Delight: Tour of Turkey (part 1). 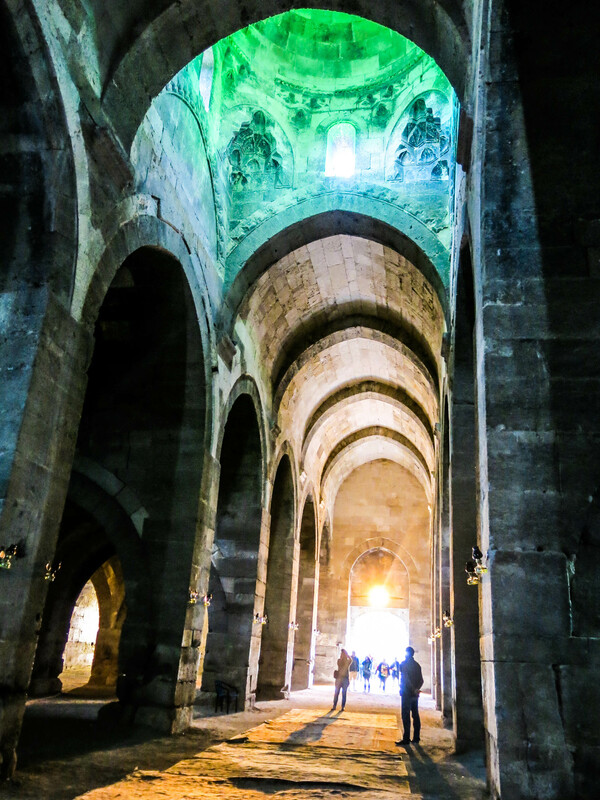 It is a long drive from Pummukale to Cappadocia, but we made it with a couple of stops on the way, including one at a camel hotel near Konya. 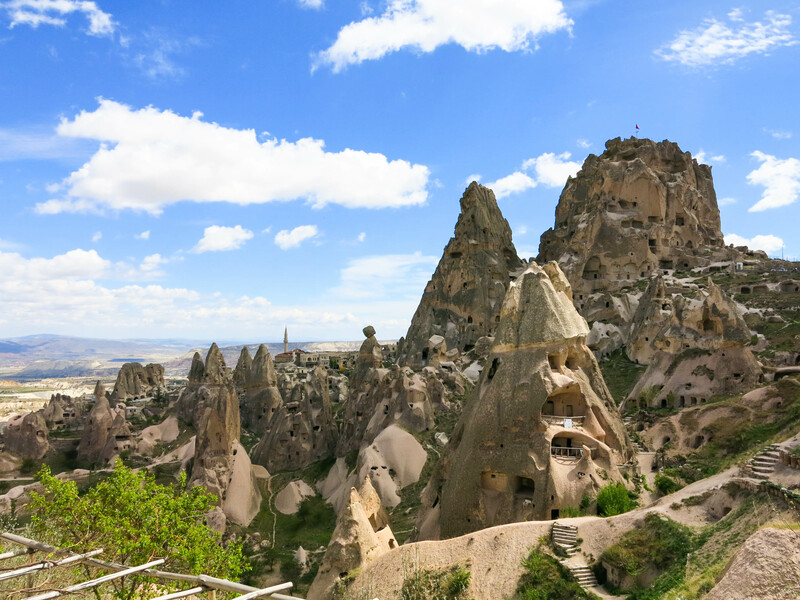 Cappadocia (Kapadokya in Turkish) is a historical region in Central Anatolia, largely in Nevşehir Province, in Turkey. It is an incredible landscape full of amazing history. 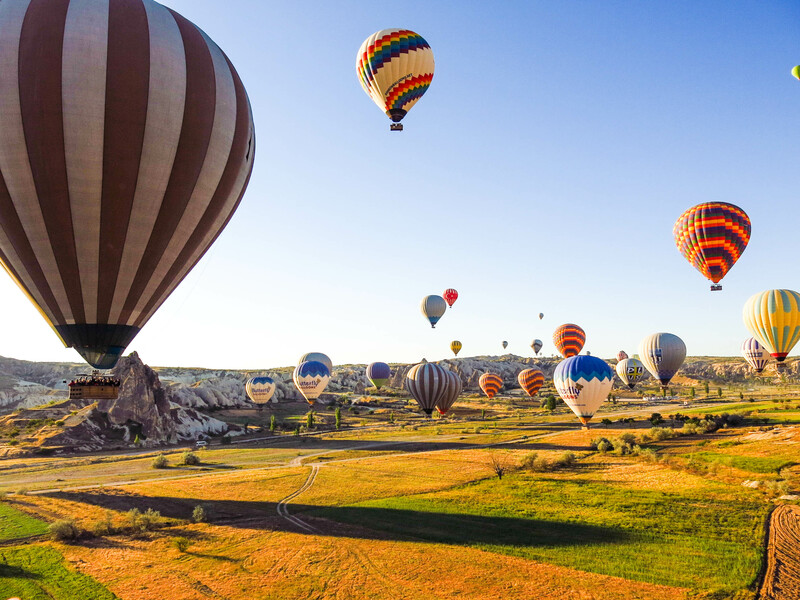 We were lucky enough to enjoy this incredible area from the skies via hot air balloon on our first morning in Cappadocia. 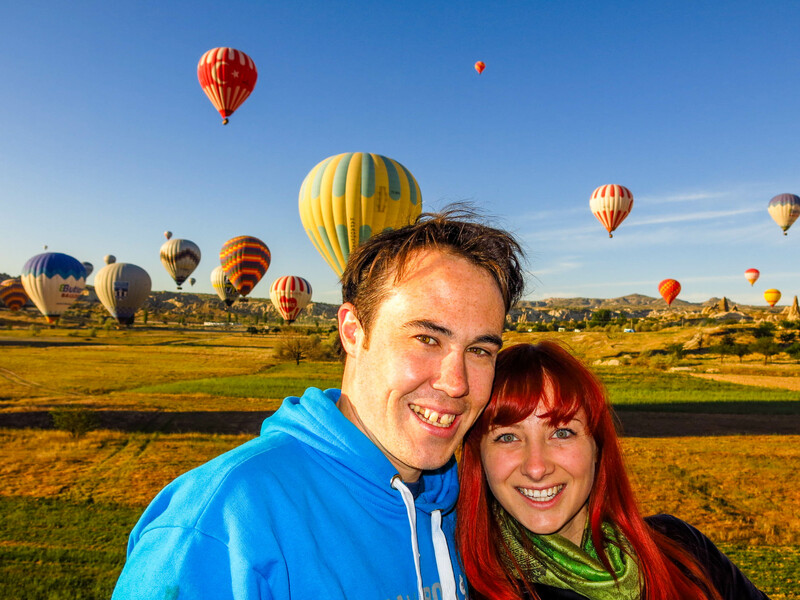 With close to 100 other balloons, we floated over Cappadocia enjoying the sunrise and the sites. Our early morning was followed by a series of visits to historical sites and interesting attractions in the area. 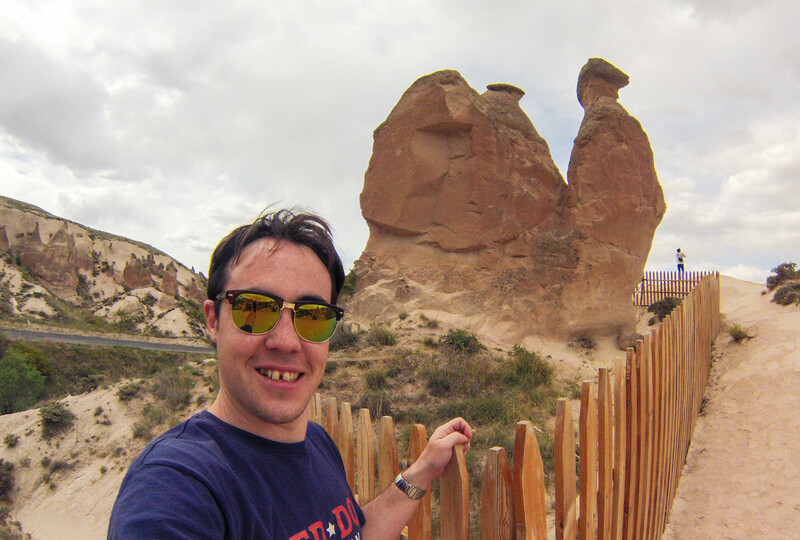 Then we visited Uchisar, a city of caves and mounds that almost looked like it belonged to human sized termites. And “camel rock” in Urgup. 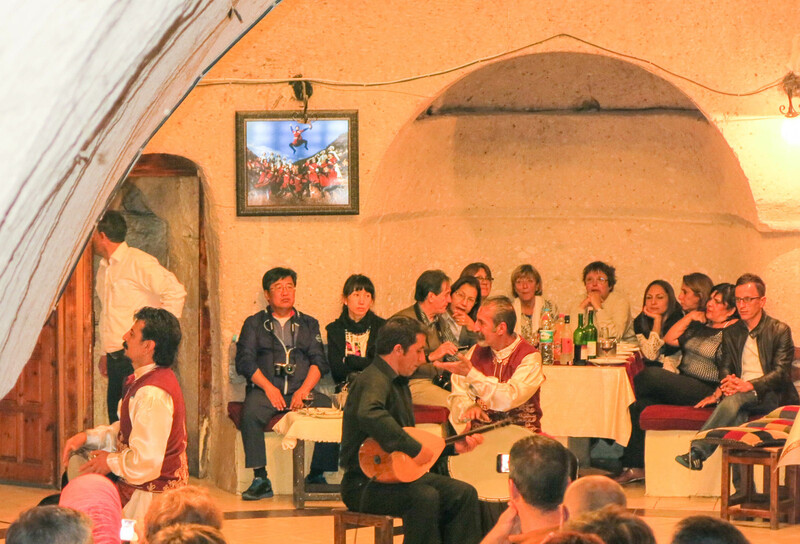 Our long day was concluded with drinks at Harmandali in Uchisar for a night of Turkish bellydancing and music. We spent one night more in Istanbul before continuing our adventure to Munich. Our tour was such an incredible experience. I truly hope that we get to visit again as I don’t think Turkey is done with me yet!